Happy Thursday! Today, I'm sharing a simple yet put together outfit that you can throw on and go all spring long! The best outfits are the ones that you feel comfortable in and this look is just that, comfy! Also, the pieces in this look are so versatile and you will be able to get so much use out of them. Before you ever buy something, try to envision at least three different ways you can wear it to make sure that it won't be a waste of money. I never buy something that I will wear once or twice and that's probably why I love classic, basic pieces so much. 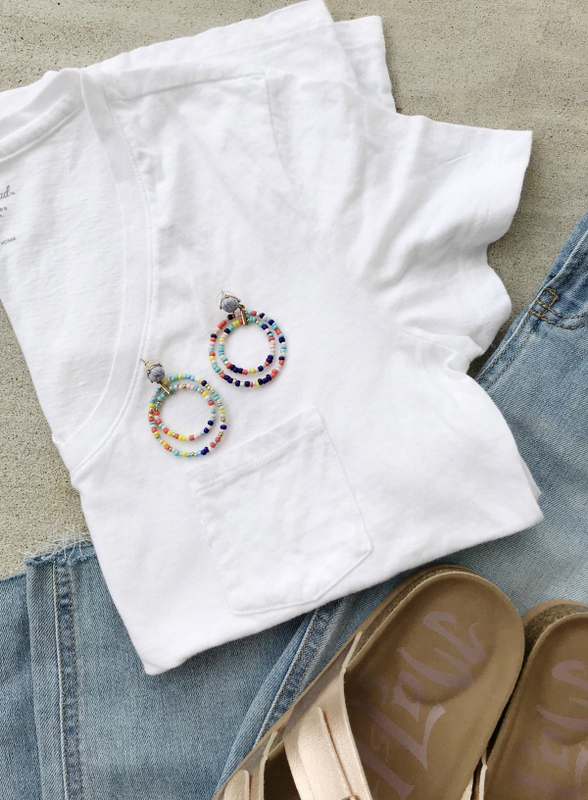 A basic white tee. This particular one is only eight dollars but it's just as good as more expensive ones that I have purchased before. It's also not see through at all which is super important to me when it comes to a white shirt. The fit is true to size and it washes up well. It's definitely a closet must have. I love a good white tee! Straight leg distressed denim. 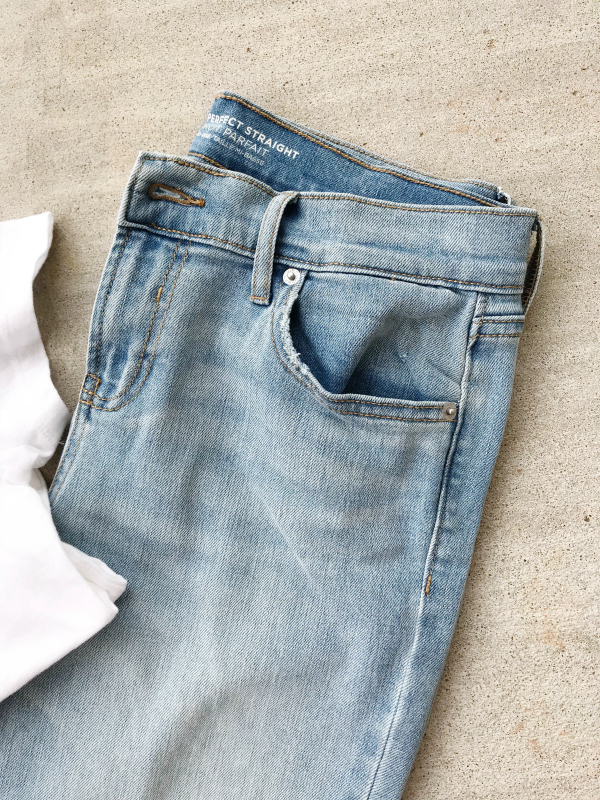 I tried this pair of jeans on in my Old Navy budget friendly denim post earlier this week and I had to take them home with me! I love the straight leg style and the subtle distressing. This style runs a little big so I was able to size down one size for the perfect fit. I plan to wear these jeans casually with sandals but they can also be dressed up with wedges. Rose gold sandals. 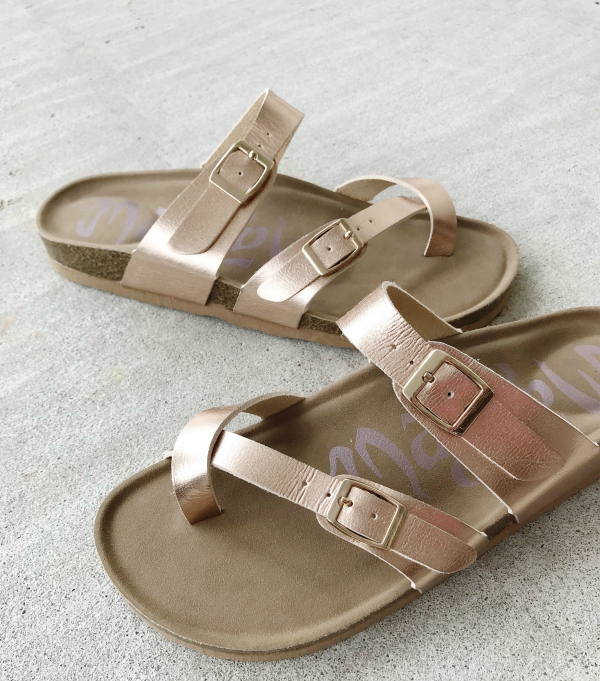 I have always loved this style of sandals but I never wanted to spend the money on real Birkenstocks. But, when I spotted this $23 pair, I knew I had to have them! They only come in half sizes so I got an 8 (I'm typically an 8.5). 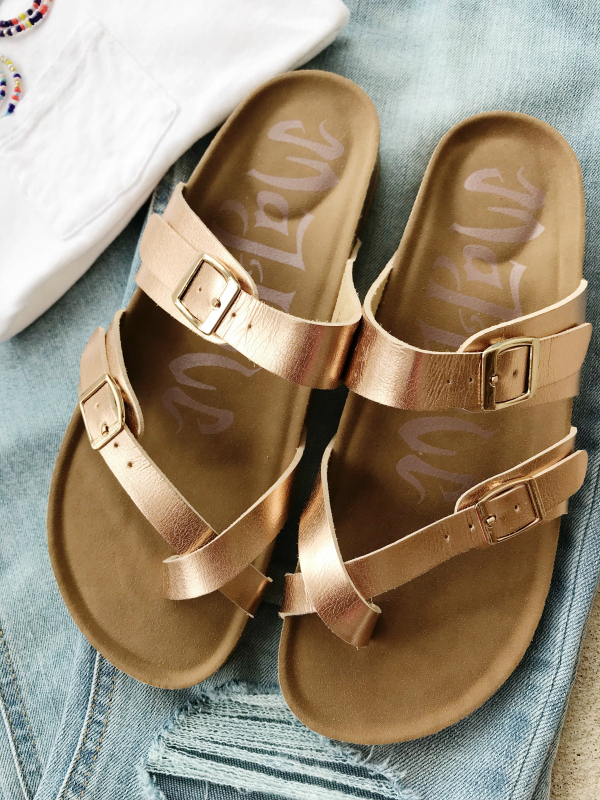 These sandals will be so fun with jeans, shorts, dresses, and so much more this spring/summer! 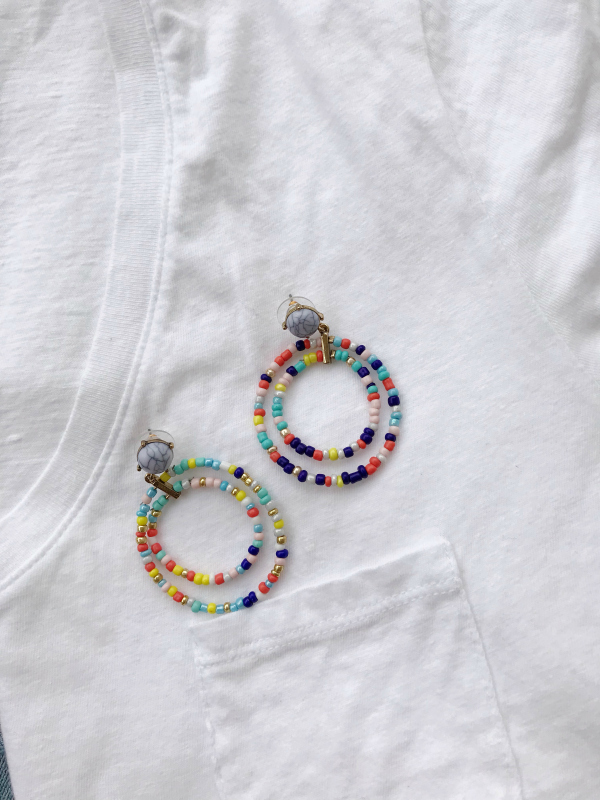 Beaded statement earrings. 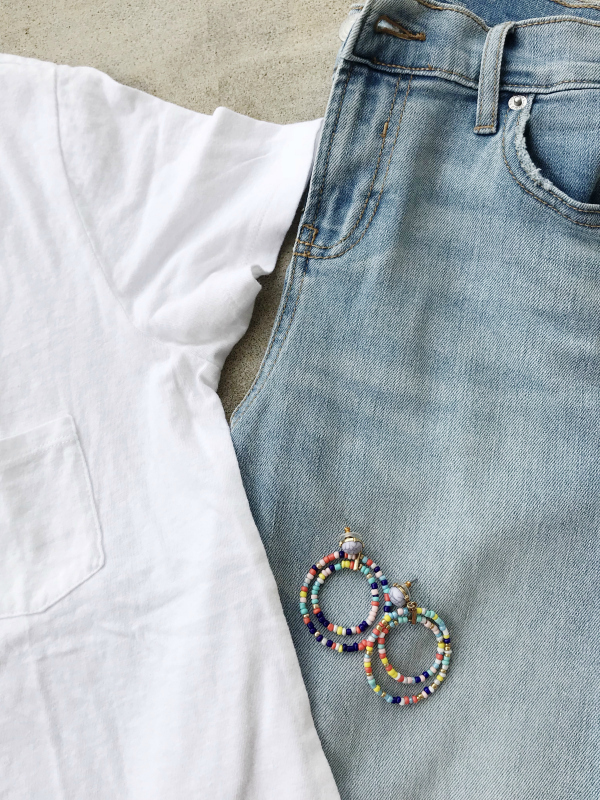 This pair of earrings adds the perfect pop of color to a basic jeans and t-shirt kind of outfit. 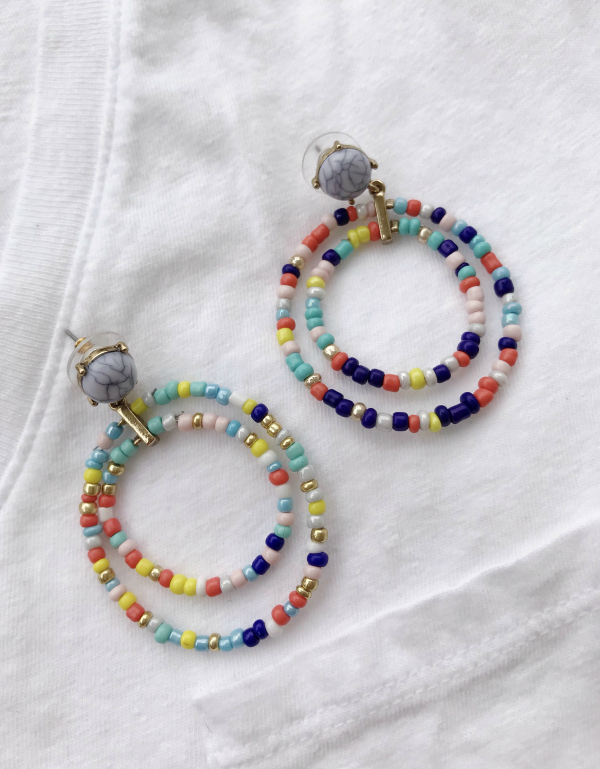 These earrings are also super lightweight, which I love!